Corporate SEO Training Classes for small or large companies and groups. Is Corporate SEO Training Right for your Company? The Tampa SEO Training Academy offers corporate in-house SEO training for companies that require customized Search Engine Optimization and Internet Marketing training throughout the USA. Steve Scott, our SEO Mastery Trainer is available to come to your location and train your staff on the latest Search Engine Optimization techniques. It’s also possible to gather your team at our facility if you prefer to get away from the distractions at the office. Professional SEO training is sure to open exciting new doors for you. At our corporate in house SEO Training Workshops, Steve will work closely with you and your staff to help you learn genuine SEO skills. Everyone gets plenty of personal attention and you can be sure that all your most pressing questions are answered. Based on your requirements, our SEO training workshops can easily be fully customized to your needs by targeting the material to your staff’s skill level, availability, industry and competitors. During the workshop, you will have the opportunity to have your web site evaluated by the instructor. These site evaluations will offer detailed ideas and specific instructions on how you can take your site to the next level. Our instructor can also help you review the sites of your direct competitors in the search engines to see what factors are helping them rank above or below you. Each of our corporate in house SEO Training Classes include a 6-month SEO mentoring program so that you and your team will never have to go it alone after the training is complete. Participants can even choose to obtain their SEO Certification. In addition to all this, you’ll receive great discounts on a variety of top SEO Tools, free eBooks, helpful handouts, links to online SEO resources, tons of useful and cutting-edge information, and lots of other bonus materials. Bring your entire staff up to speed at the same time and get them on the same page. Get answers to all your most pressing SEO questions about your site. Learn the most current factors for building genuine relevancy for competitive keyword phrases. 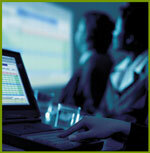 Fully customize the course material or time frames to suit your particular needs and skill levels. Feel at ease that your competitors are not in the room with you learning your weaknesses. Have your site reviewed and evaluated for improvements by our instructors. Refine your existing SEO skills under our direction. Enjoy personalized instruction delivered to you by SEO industry leader Steven Scott. Additional areas throughout Florida or throught the USA are available upon request. Please call 877-736-7361 to discuss. Contact Us with your questions about our corporate SEO Training options. In house Corporate SEO Training starts at $1,500 per week plus expenses for instructor. Additional student fees apply based on the number of expected students. For more information about our Corporate SEO Training Courses or to speak directly with Steve Scott about your needs, call 877-736-7361 x704.